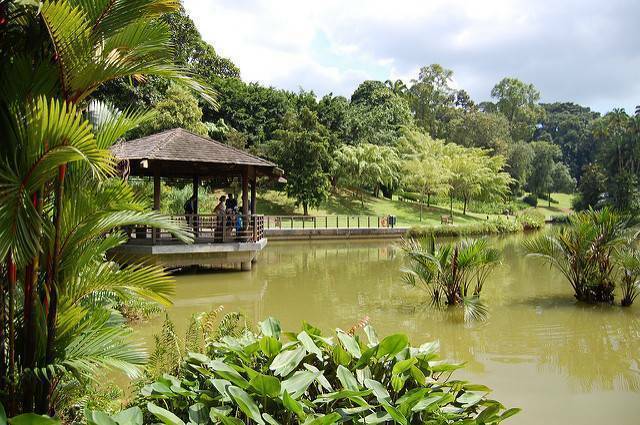 The Singapore Botanic Gardens beautifully showcases the tropical island's luxuriant parks. It is spread over 52 hectares and close to the centre of the city. The Garden is a combination of untouched primary forest and a special garden displaying frangipanis, roses, ferns and desert plants, among others. There are numerous plant species here, including many rare specimens, reflect the Gardens' richness and diversity of plant life.The present orchid enclosure has 20,000 orchid plants on display. The National Orchid Garden is filled with some sprawling orchid displays, water features, and an exotic collection from Central and South America. Other attractions for visitors' enjoyment include Palm Valley, Eco-Lake and outdoor concerts on Symphony Lake.